Content Development: Educational content, company training manuals, individual manuals and support. We provide different services in the about spheres of operation. Website and Software development: We develop websites for individuals and companies. We provide software solutions to enable business to fully utilize their resources and get the most out of technology investment. 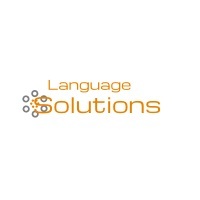 Language Services: We provide translation, transcriptions, quality assurance, proofreading and editing services. Content Development: We develop educational material for both online and offline platforms, training manuals for companies and self development courses. We assist with research on latest IT technologies that are needed by the market and help implement these technologies in the curriculum for colleges and individuals willing to learn new technologies. Give us the requirements, we will provide you with the solutions and best services that meet your business and keep you relevant among your competitors.